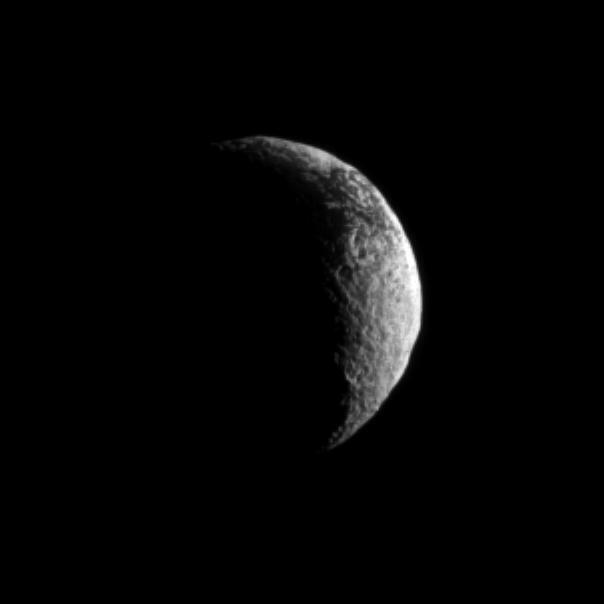 The Cassini spacecraft looks toward a crescent of Saturn's dark and light moon, Iapetus. Scientists continue to investigate the nature of this moon's surface. See PIA11690 to learn more. 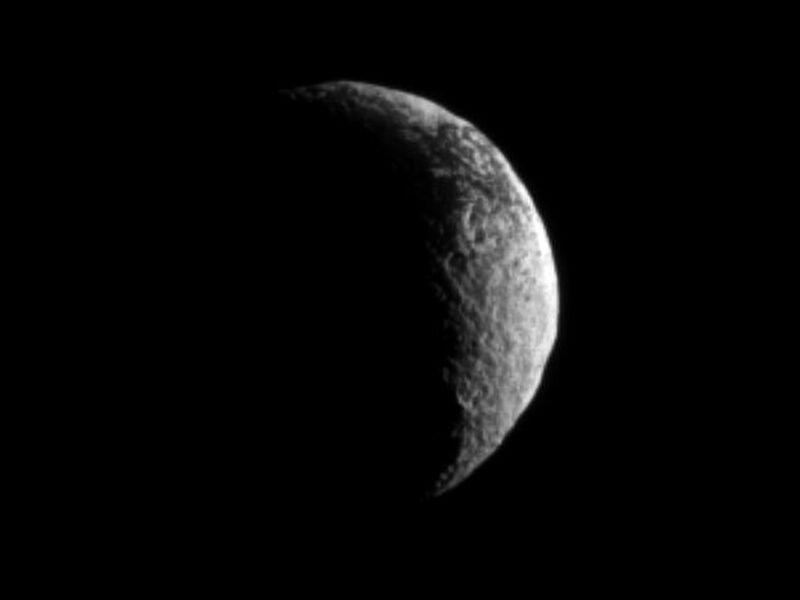 Lit terrain seen here is in the transition area between the Saturn-facing side and trailing hemisphere of Iapetus (1,471 kilometers, or 914 miles across). 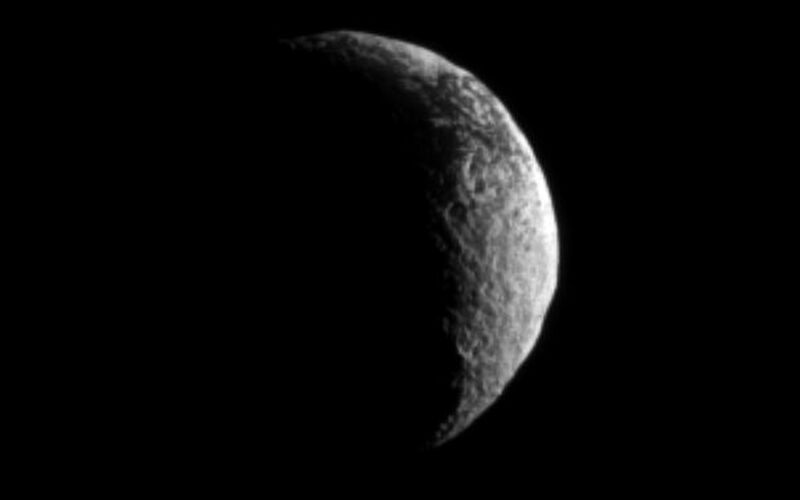 North on Iapetus is up and rotated 23 degrees to the left. The image was taken in visible light with the Cassini spacecraft narrow-angle camera on Nov. 29, 2009. 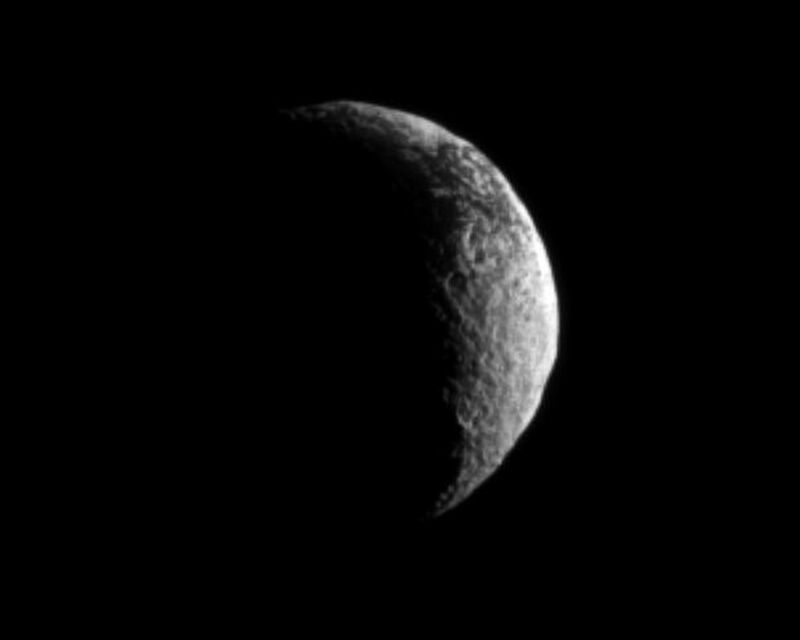 The view was acquired at a distance of approximately 1.5 million kilometers (932,000 miles) from Iapetus and at a Sun-Iapetus-spacecraft, or phase, angle of 117 degrees. Image scale in the original image was 9 kilometers (6 miles) per pixel. The image was contrast enhanced and magnified by a factor of two to enhance the visibility of surface features.